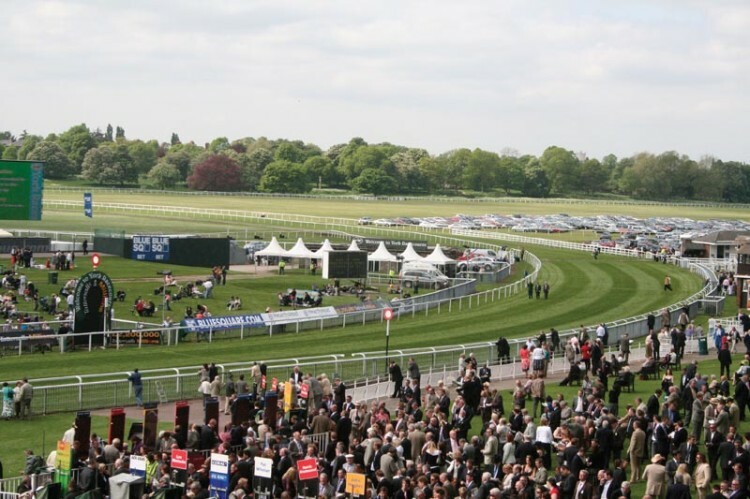 The May Festival is the first meeting of the calendar at York Racecourse. With £835,000 in prize money on offer, top trainers, horses and riders are guaranteed. The warm weather in the lead -up to the thre day event encouraged 42,000 racegoers to attend. 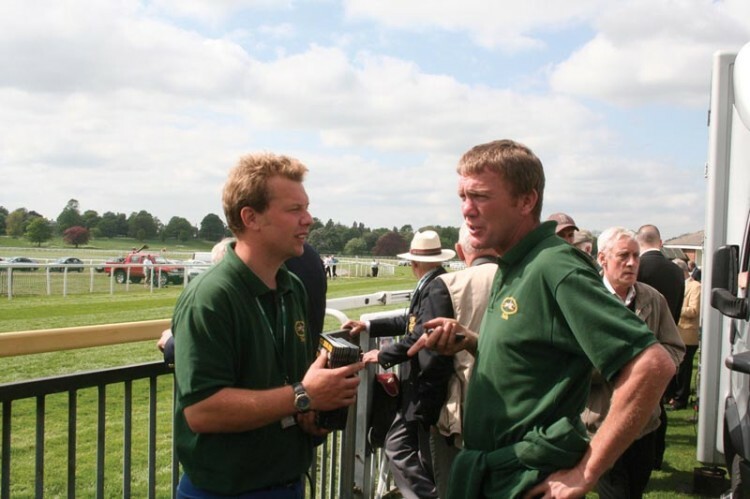 Laurence Gale MSc joins Head Groundsman, Adrian Kay, as he sets up the course. 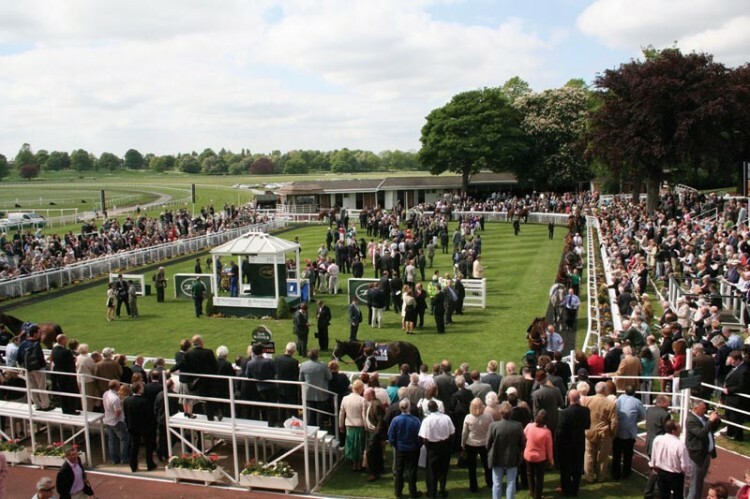 York is one of the premier racecourses in Europe. It won the Flat Racecourse of the Year Award for 2007 and also came out top in The Times newspaper's survey of all Britain's racecourses. Horses first raced at York during the days of the Roman Emperor, Severeus. However, many of the 260,000 racegoers that will visit York this season are unlikely to realise they are taking part in a spectacle that first took place over 2000 years ago. York Corporation records show that the City first fully supported racing in 1530. In 1607, racing is known to have taken place on the frozen river Ouse, between Micklegate Tower and Skeldergate Postern. The first detailed records of a race meeting date from 1709, when much work was done to improve the course at Clifton Ingam, an area prone to flooding. Despite this work, the flooding continued and, in 1730, racing transferred to Knavesmire, where today's course remains. As its name implies, Knavesmire was a mire with a stream running through it and a considerable amount of levelling and draining was required to create the horseshoe shaped course which opened for its first meeting in 1731. 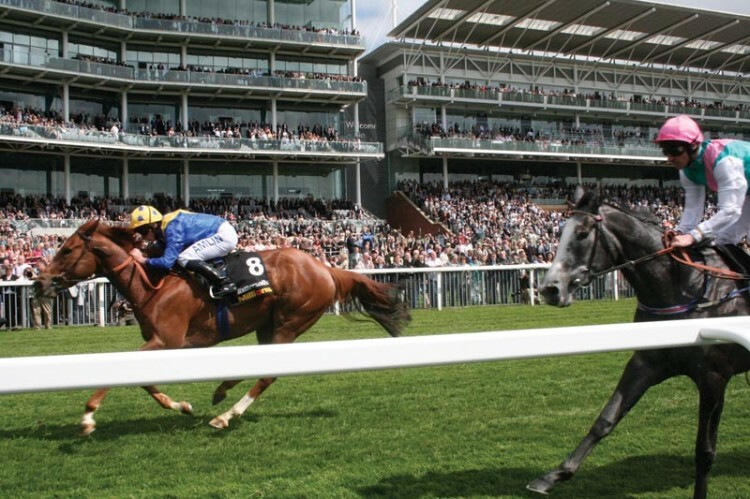 In recent years the racecourse, as well as hosting its own spectacular meetings, also played host to Royal Ascot in 2005 and The Ladbrokes St Leger in 2006 whilst both home courses, Ascot and Doncaster respectively, were being redeveloped. 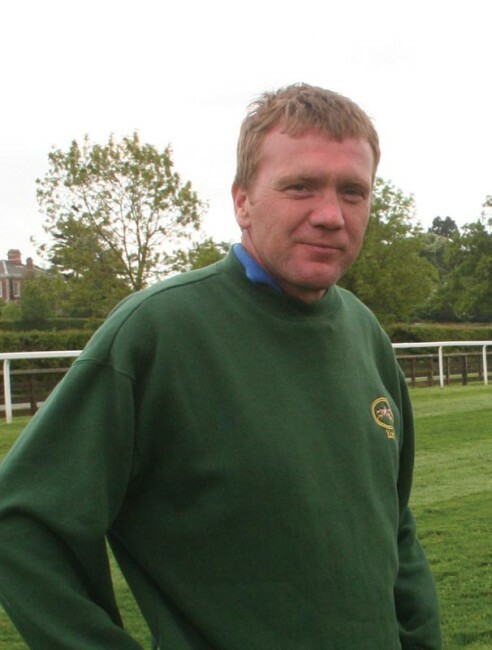 Adrian Kay is the Head Groundsman at the course and is not one for letting the grass grow under his feet. Since his arrival from Aintree in 2006 he has worked hard to improve the course. This has been achieved with the support of William Derby, CEO and Clerk of the Course, who has supported Adrian in the purchase of new equipment and additional resources for track maintenance. 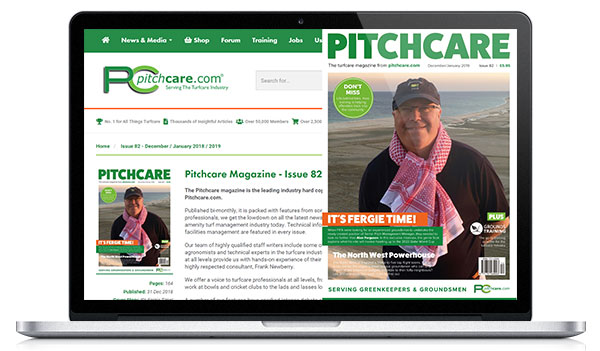 • Install a totally new primary drainage system for the whole course at 5 metre centres. • Widen and regrade the south bend to help provide more fresh ground and improve the camber of the bend. • Upgradethe existing in situ irrigation system, installing 300 plus sprinkler heads on both sides of the track plus the provision of a new 90 metre deep bore hole to supply the new system. 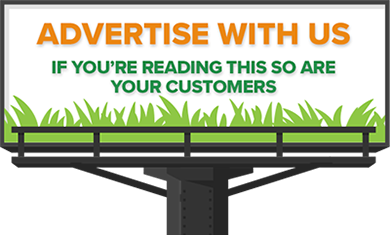 • Provide a complete new service road for the course. The improvement works are costing £2.5 million. So, with the project work and the normal ongoing maintenance, Adrian will be kept busy. A crucial part if the project planning process was to ensure the work of the contractors did not interfere with the racing. 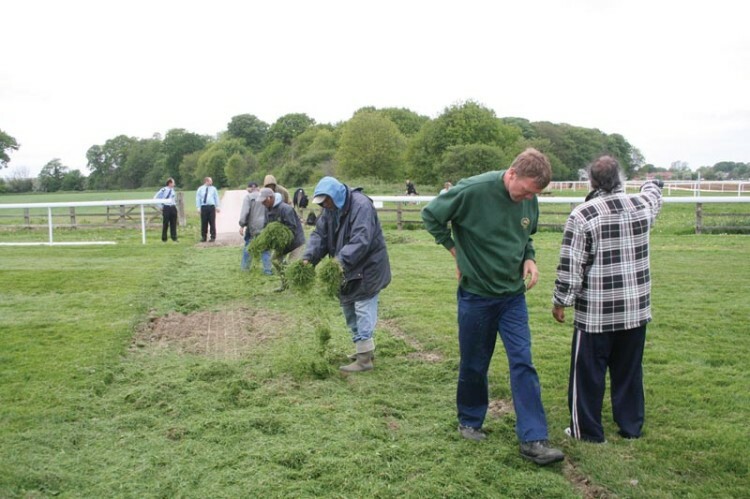 Preparations for the May Festival began last October, immediately after the final meeting of 2007, and began with divot repairs using 25 tonnes of rootzone materials and overseeding with a tonne of Advanta MM25. This was followed by surface decompaction using a vertidrain and an application of 4:12:12 autumn fertiliser. 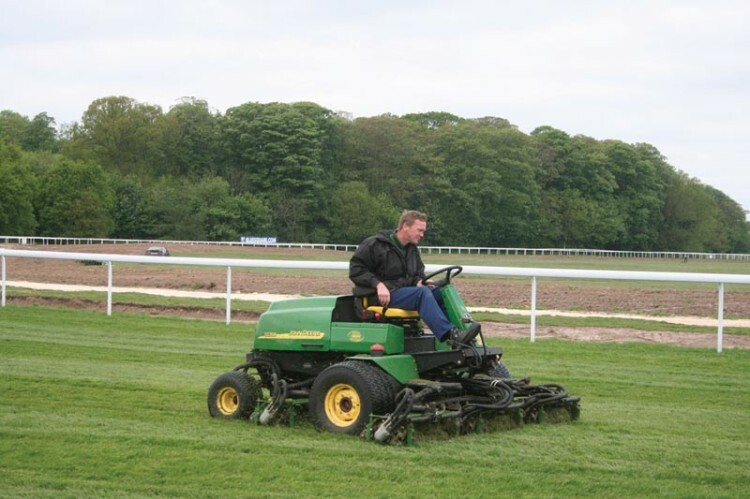 The sward was maintained throughout the winter months using a John Deere 1600T wide area mower set at 75mm and, in February, the track was decompacted again. 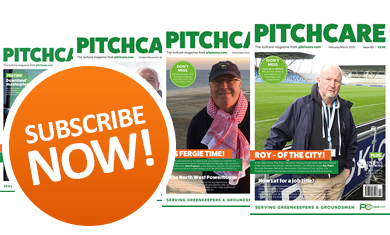 At the beginning of May Adrian applied a 25:4:10 Indigrow slow release fertiliser and a combination of wetting agent and selective weed killers. Cutting the course usually takes about 5 hours and that doesn't include the paddocks and ornamental areas. Adrian has seven full time staff and employs a further 17 track assistants on race days. The week leading up to a meeting is all about getting the course ready and keeping an eye on the going (condition of the track). The health and safety of the horses and jockeys is of paramount importance during racing. The degree of risk of injury to the horse and rider are influenced by the surface rating or, in other words, the surface hardness. In the United Kingdom going is categorised as, heavy, soft, good-to-soft, good, good-to firm, firm, and hard, where heavy is a slow wet surface, and hard is a fast dry surface. The ideal going varies depending on the type of racing. The British Horse Racing Authority (BHA) stipulate that flat courses should aim to provide 'good to firm ground'. It is the duty of the Clerk of Course to declare the going of the course a week before racing commences and on each day of the race. The going is measured by inserting a going stick into the ground to measure penetration and shear. Today the official going is measured using an electronic Turftrax going stick. The lead-up to the first race day of the season is an exceptionally busy time. There is the course furniture and signage to be set out, over 1000 linear metres of new track rail to be installed and all the crossing points to be refurbished with new polytrack materials. I arrived at the course the day before the first race day. As I expected Adrian was busily overseeing the final preparations. His staff were putting up rails and horse protection fences, releasing Adrian to stripe up the course with the John Deere triple mower and setting up the sprinkler system. We finally got away from the course at 10.45pm, getting home for a quick bite to eat before retiring to bed, knowing we would be up at 5.00am in time to meet William Derby at the course by 6.00am. 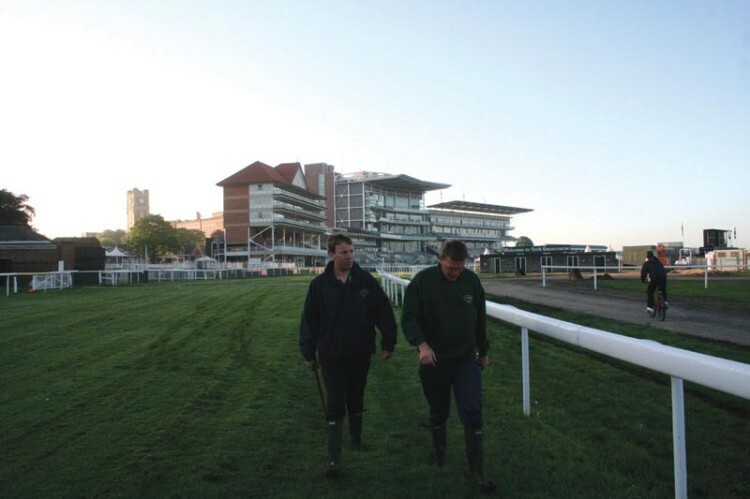 06:00 Adrian and William walk the course and measure the going whilst, at the same time, discussing issues of the day. It takes about an hour to walk the whole course, but it gives Adrian a chance to check for any last minute problems. 07:00 Adrian returns to the mess room and debriefs his staff. 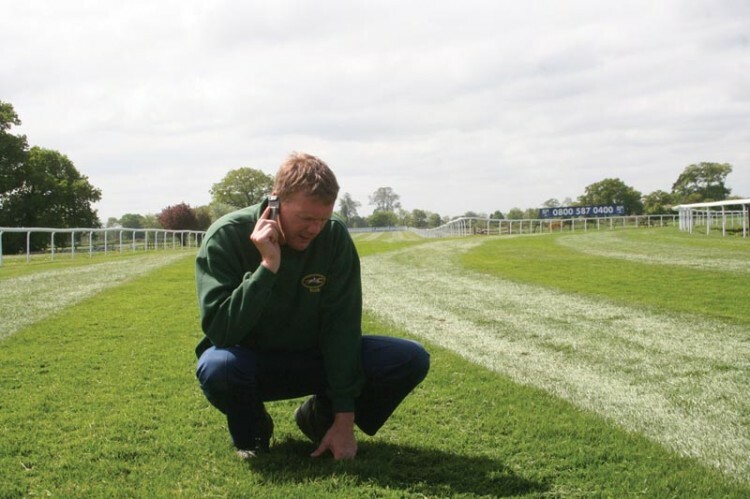 A Turftrax official arrives and goes out onto the course to measure the going. He uses seventy reference points, recording the average of three readings taken at each point. An average is then arrived at from all seventy reference points. The going is officially declared at 9.71 - Good to Firm. 08:00 Adrian gets on the John Deere triple mower to finish striping up the course, concentrating on the main straight. Throughout the day Adrian constantly keeps in touch with staff and officials using his mobile. 09:00 Adrian's assistant, John Morley, is left to organise the finishing touches to fence rails and crossing points. Temporary barrier fencing is erected to prevent horses escaping from the track. Adrian's longest serving staff member, John Imeson (20 years at the course), goes out to cut the grass bank areas with the Etesia ride-on cut and collect mower, using the clippings to mask the crossings. The 17 track assistants spend the morning cleaning and putting up railings. 11:30 Adrian is invited to attend a Channel 4 TV interview with John Francome. Adrian discusses the condition of the course and explains the recent improvements that have been made. 12:00 Adrian returns to his mowing duties to finish off the presentation of the course. 13:00 Just before the racing begins, crossings are covered with clippings. Adrian and John then take up their marshalling duties, driving a vehicle around the course on the service road during each race. 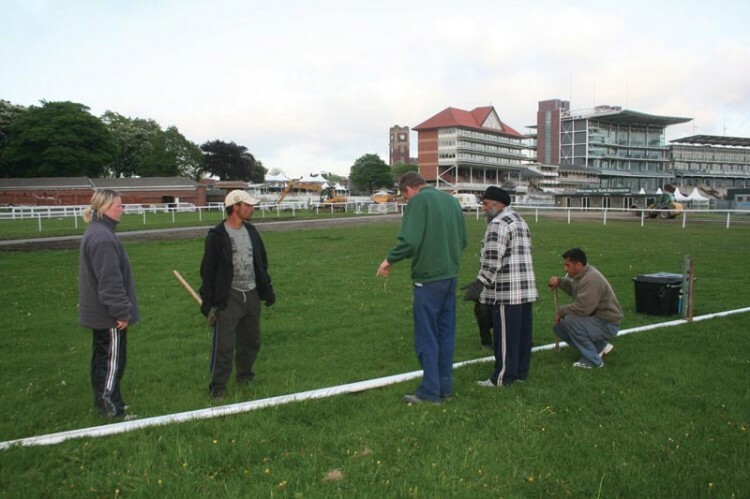 Adrian's staff and track attendants take up their marshalling positions around the track, usually two at each furlong post. 13:40 The first race is underway (1 mile 2 furlongs), and everything goes smoothly with no problems. 13:45 Adrian checks the course for damage, and phones in to William to convey how well the course is standing up to the racing. 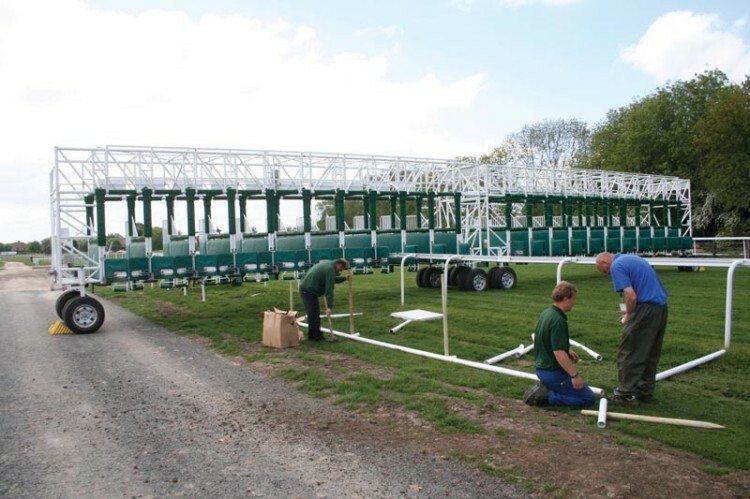 The starting stalls are moved to the 7 furlong mark for the start of the next race. 14:15 Adrian and John meet up to discuss track conditions and to supervise divot repairs. 14:30 The starting stalls are moved across the track for the next race. 14:50 Adrian inspects the course and oversees yet another moving of the starting stalls. The fourth race starts. Laurence loses money having taken a punt on the 3-1 favourite, US Ranger, which duly comes in fourth! 15:20 Adrian meets up with the course inspectors to check out the course. A decision is made to water the course after the first day's racing. This decision is based on the weather forecast, the current condition of the course and Adrian's knowledge. 5mm of water will be applied to the whole course. Adrian is back on the phone organising staff cover. It is going to be a long night for him and his staff! 15:45 The same procedures are followed for the three remaining races at 15:45, 16:20 and 16:55, with constant checking on the condition of the course and arranging the movement of starting stalls for each race. 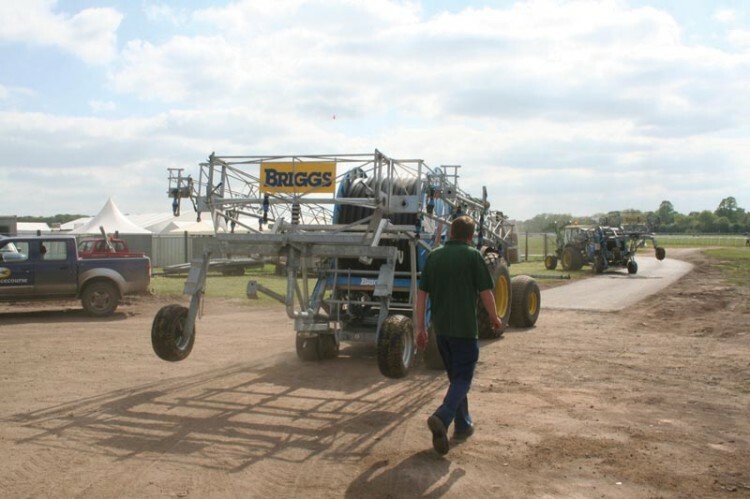 17:15 As soon as the last race has finished Adrian's staff move in with the two Briggs boom irrigators. It will take approximately eight hours to water the course using these irrigators and the in-situ pop up watering system. Each irrigator takes 45 minutes to water a furlong of track. 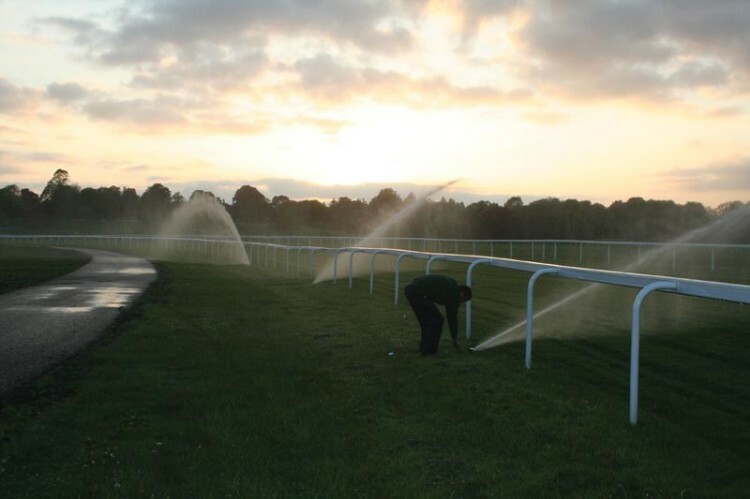 With over 13 furlongs to water it will be well into the early morning before the watering is completed. Adrian and his staff finally get to bed at 3.00am, and will be up again for an early start. For the next two days of racing it is much of the same; long hours and plenty to do. Adrian thrives on it. The going for the remaining race days was measured at 9.1 and 9.7 retaining a good to firm surface. Watering was also applied on the Thursday night. More than 42,000 racegoers attended over the three days of the festival. All in it was a very successful meeting. 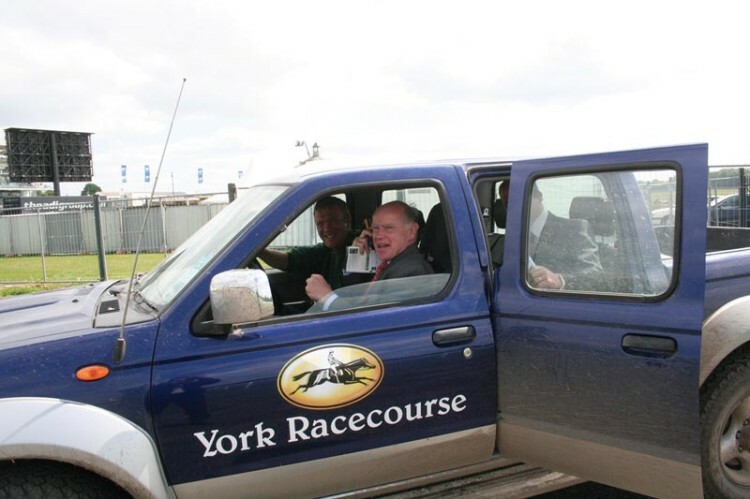 No horses were injured, a consistent surface was provided and everyone had a good experience of racing at York, including Adrian!